Events in Hampshire in January, February and March can meet with all sorts of weather!! Snow, frost, rain and wind and yet there can be days when the sun shines on the winter landscape and it is so beautiful. There are snowdrops, daffoldils and crocus peeping through the winter soil, hailing spring with their pretty show. Events during this time are often indoors, but the outdoor variety continues with challenges to surmount which are all part of it!! Watership Down 108k. A very challenging ride only for the fit and experienced! With this time of the year comes the unpredictable weather and all its probabilities! Icebreaker Music Festival 25th and 26th January 2019, Several venues. Petersfield Antiques Fair 1st to 3rd February 2019. Festival Hall Heath Road, Petersfield. Portsmouth Coastal Half Marathon 3rd February 2019. Venue: Pyramid's Centre, Esplanade, Southsea. Good route but on the beach you might get your feet wet! All adds to the fun! Alton Beer Festival 22nd to 23rd February 2019. Drinking for Charity! Great atmosphere, food and music. Pre Spring Steam Gala Attention all steam buffs!! 8th to 10th March 2019. 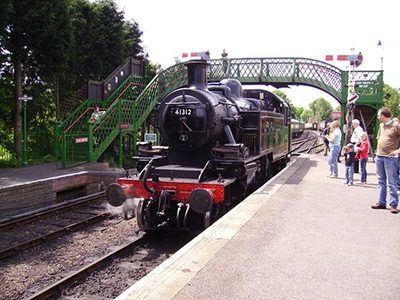 Venue is the Watercress Line, Alresford. Petersfield Music Festival. Will be held at the Petersfield Festival Hall and St Peter's Church in the Square. The festival runs from 15th to 23rd March 2019. Petersfield is is the centre for the South Downs National Park so why not pay the area a visit and look round at the same time. Winchester Real Ale and Cider Festival Will be held on 22nd and 23rd March 2019. Running Mania 10K Hendy Eastleigh Road Race. One of the most prestigious in the country now. Will take place on 24th March 2019. Watership Down, made famous by Richard Adams in his book of the same name, actually exists. 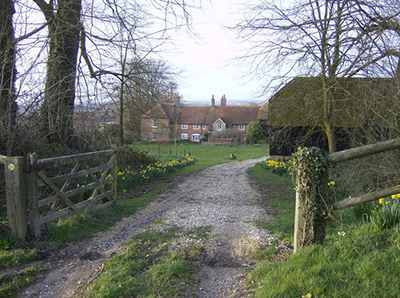 It is a hill on the North Wessex Downs. Not difficult to recreate in one's mind the scene that inspired the book's author. Portsmouth is an ancient port for the Royal Navy famous for its dockyard and Navy Days. Home of Nelson's flagship 'Victory'. Gunwharf Quays is now where some of the old dockyard used to be. Now famous for its unique shopping experience. The seaside town of Southsea is close by. Ferries for the Isle of Wight and the Continent leave from Portsmouth. Romsey is a delightful old market town on the famous trout river The Test. Broadlands was the home of Lord Mountbatten. Romsey Abbey is the largest parish church in Hampshire. Four Marks is a thriving village on the A31. Traces of habitation go back to the Stone Age! Winchester is the ancient capital of England and today a busy capital of Hampshire. The High Street is dominated by Westgate at one end and King Alfred at the other. In between can be found a modern shopping street, ideal for shopaholics. 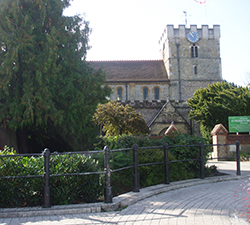 Alresford is a market town home of the Watercress Line well known to lovers of steam. Fisher's Pond is a little hamlet on the River Itchen near Winchester. It has had a fish farm for 700 years!